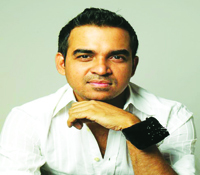 Bibhu Mohapatra is at his desk in his New York atelier, doodling, when I call him. It is five days after his spring/summer 2016 collection at New York Fashion Week, and he is wrestling with two images in his head a�� one of them will become his muse for his autumn/winter 2016 collection in February. Finding inspiration is no ordinary task for Mohapatra, 43, whose journey from Rourkela to New York has been well documented. His spring 2016 collection was shaped by the spirit of Annemarie Schwarzenbach, a Swiss-German journalist and photographer who preferred the company of Bauhaus designers. a�?She was a trailblazer in the 40s and her story is intriguing, even if she died early at 34,a�? begins Mohapatra who likes the idea of being inspired by someone who is not part of popular culture. a�?The discovery of and shedding light on mysterious characters a�� you could say that drives me. In this case, I made clothes after her motivating force, not after her. If the story becomes too literal, there is no fun in it for me.a�? The collection, which saw the designer collaborate with the diamond brand Forevermark, featured simple, linear shapes in beautiful and sumptuous fabric. 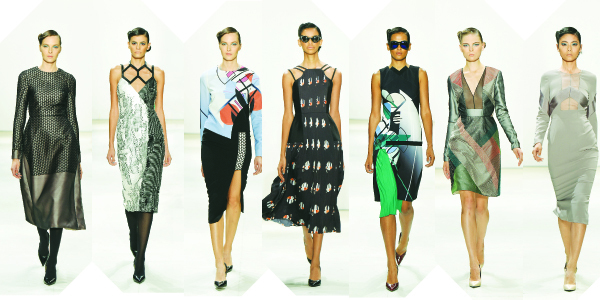 The Bauhaus influence was most noticeable, with geometric shapes and colour blocking, and an arresting criss-cross detail on silk crepe tops and midcalf dresses. Many of them made the cut as the impeccable day dress most Mohapatra fans, be it US First Lady Michelle Obama or actress Gwyneth Paltrow, seem to prefer. That the designer is getting votes on the red carpet too a�� Emmy nominee Jane Krakowski was recently spotted in his design a few days ago a�� was seen with the fluid gowns in the lineup. Having graduated in fashion design at FIT, New York, after a masters in Economics in Utah, Mohapatra enjoys the dynamic interplay between opposites. a�?I understand numbers, fortunately, and why fashion designers must be retail smart. But I enjoy the creative side more. In my designs, you will find tailoring mixed with drapes and colour mixed with neutrals,a�? he explains. It is reminiscent of a design feature by a magazine a few years ago, where a tour of the home he shared with the artist Bobby Beard included visuals of a Krishna statue juxtaposed with voodoo dolls. Mohapatra laughs in recollection, adding that like many creative people, he is inspired by films, paintings, literature, architecture, music and contemporary works of art. The interior design feature includes another picture of a James Herbert painting from the 1980s in his apartment. Earlier collections have been inspired by artists like Neil Harbisson and old X-rays. a�?Art gives a different dimension to my work. I have an altar at my atelier, a board with images that have an impact on me, and they could be of a lunar moth, the detail in a building lobby or an old staircase from an abandoned hospital in Pondicherry,a�? he explains. Incidentally, he has never visited Pondicherry. a�?My uncle and aunt are big devotees of the Mother in Auroville and visit the Ashram regularly. Their description has been passed down to me. Sometimes, not having a clear picture, and the lack of clarity is better with my kind of work,a�? he continues. Despite having heavyweights like actress Lupita Nyonga��o and Kangana Ranaut on his client list, Mohapatra is always affable. He is on first name basis with most fashion journalists, whether in India or the US. He prefers telephonic conversations to email, fortunately for me. When the Obamas arrived in India in February this year, and Michelle Obama had chosen a Bibhu Mohapatra dress for the occasion, his phone rang all night for a week (given the time difference between the two countries) with calls from India. But the designer continues to be grateful and in many cases, awed by the stars he followed as a young boy in Orissa. a�?When I showed at Lakme Fashion Week in 2012, I knew when Rohit Bal entered the hall. Once the show was done, I ran to where he was standing, delighted that he was there. I grew up in Orissa in a humble family home and in the pre-Internet days, there was a newspaper report on designers Tarun Tahiliani, Bal and Suneet Verma. To this day, I remember what they were wearing in their photos,a�? he recalls. Several years ago, he played a cameo in Teen Patti, the Bollywood film starring Amitabh Bachchan, and was visibly nervous to be in the same frame as Bachchan. He continues to be overwhelmed when he meets stars, from films, sports and fashion, who dominated his childhood. Back in the US, he has a large circle of well-wishers and counts designers Waris Ahluwalia a�� a�?my brother, he makes it to all my showsa�? a�� and Rachel Roy as his friends. When I speak to Mohapatra a day before his show, he shares his plans to head to his little country house soon to unwind. a�?I raise chickens there and enough has been said about how I name them after supermodels. Naomi, unfortunately, has died, but Linda is still alive,a�? he chuckles, adding, a�?I now take along eggs instead of wine when I visit people!a�? Meanwhile, the debate continues about his next muse. a�?It will come to me organically, but I sense she will have something to do with art and travel. Perhaps she will be a warrior woman; I have been watching a lot of (Akira) Kurosawa movies. But first, I must take the Spring 2016 collection to Beijing, then Paris. And then I will know if these clothes travel well.a�? Mohapatraa��s muses range from writer and political activist Nancy Cunard (last season) to heiress Daphne Guinness and surrealist photographer Man Ray. Another inspiration is books, especially out- of-print books from the 30s and 40s that a Paris agent sources for him. While all his clothes are tailored, he says he loses all sense of reason when he enters an Apple store. a�?I often come back with something I already own.a�? He recently splurged an obscene amount on a Bulgari watch he had always wanted. And a couple of suits. And yes, he collects antique chopsticks. Mohapatra agrees that the stylist is no longer in the background, what with the importance of the hyper visual. a�?As a designer, you go from concept to sketches to the actual outfits. After weeks of it, you are rather numb and ita��s hard to get a perspective. Working with a stylist is great, especially if you have an aesthetic connection. Besides getting your clothes on influential people and in editorials, they look at a piece in two or more different ways. It is fascinating to watch how my vision can be broken down to create multiple visions that are still relevant. Editing is key,a�? he says.